Base of this stool has been welding,trivial installation steps no more. Simply put seat top to this base,makes you really enjoy the fun of this chair. 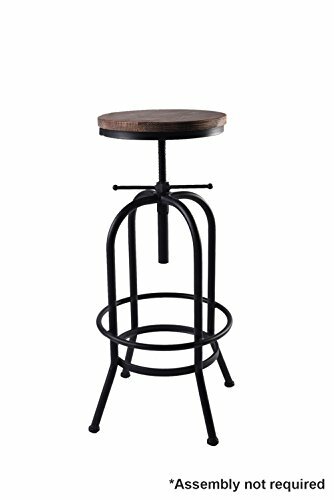 The bar stool is characterized successful by mix of solid wood and dark metal tube. It applies sturdy and thick steel as frame, natural pinewood as chair top, quite solid and comfortable. This exclusive barstool is a modern and high-quality seating option for both home and business use. You can sit on it to enjoy meals or drink at bar, besides, it can provide extra seating for guests in holiday gathering, party etc. Compact welded underframe is provided with a noble paint finish. Double connection of the four legs offers you particularly high stability and at the same time acts as a pleasant footrest. If you have any questions about this product by Articial, contact us by completing and submitting the form below. If you are looking for a specif part number, please include it with your message.